Throughout her celebrated career, Mary Oliver has touched countless readers with her brilliantly crafted verse, expounding on her love for the physical world and the powerful bonds between all living things. Identified as "far and away, this country's best selling poet" by Dwight Garner, she now returns with a stunning and definitive collection of her writing from the last fifty years. 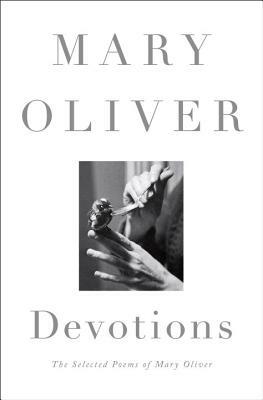 Carefully curated, these 200 plus poems feature Oliver's work from her very first book of poetry, No Voyage and Other Poems, published in 1963 at the age of 28, through her most recent collection, Felicity, published in 2015. This timeless volume, arranged by Oliver herself, showcases the beloved poet at her edifying best. Within these pages, she provides us with an extraordinary and invaluable collection of her passionate, perceptive, and much-treasured observations of the natural world. Born in a small town in Ohio, Mary Oliver published her first book of poetry in 1963 at the age of 28. Over the course of her long career, she has received numerous awards. Her fourth book, American Primitive, won the Pulitzer Prize for Poetry in 1984. She has led workshops and held residencies at various colleges and universities, including Bennington College, where she held the Catharine Osgood Foster Chair for Distinguished Teaching. Oliver currently lives in Florida.